A full house was on hand Tuesday during La Plata County Republicans election party at the Durango Elks Club. Election results continued to flow into the Colorado Secretary of State’s office through the wee hours of Wednesday, with all 64 counties fully reported by 10 a.m. But while some races – including state House District 59 – tightened, the outcomes did not change in the final unofficial tally. Election results become official on Dec. 8, after county canvass boards meet. In House District 59, Democratic challenger Barbara McLachlan squeaked past incumbent J. Paul Brown with 617 votes in the six-county district that includes La Plata County. 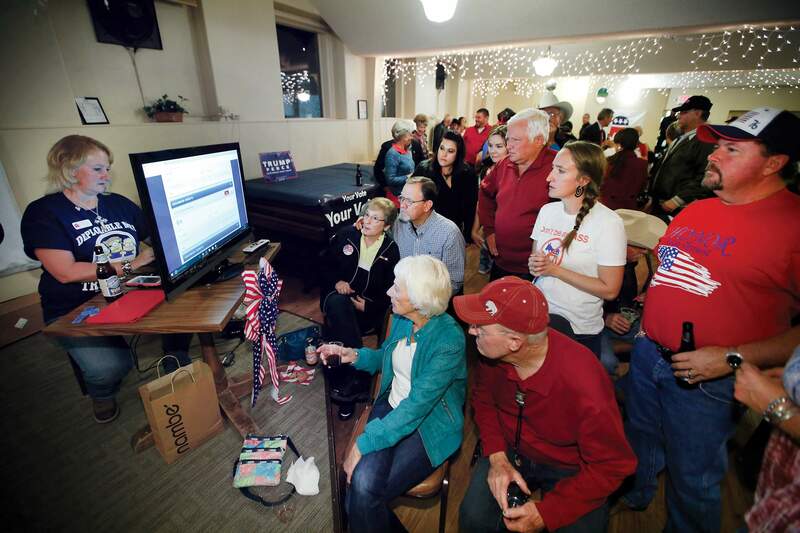 Brown conceded the race late Tuesday before Archuleta County results were in. At that time, McLachlan led, 53 percent to 47 percent. On Wednesday morning, the vote was 50.68 percent for McLachlan and 49.32 percent for Brown. In Congressional District 3, incumbent Republican Scott Tipton maintained his healthy lead and finished the race with 55 percent of the vote. Democratic challenger Gail Schwartz got about 40 percent and Libertarian Gaylon Kent about 5 percent. One statewide measure that was too close to call late Tuesday, failed in the final tally. That was Amendment T, which would have eliminated archaic language in the state constitution that allows for slavery in some cases. It was defeated by more than 38,000 votes, with 51 percent of voters saying no, and 49 percent saying yes to the change. For complete statewide results, go to www.sos.state.co.us and click on 2016 General Election results.